Sagittarius, mutable fire 🙂 Too damn hot to be Scorpio, and too damn freedom loving to be a Capricorn. Sagittarius is the sign lead by greater vision, shooting arrow that points straight to the sky. It looks like something new is going on in your life. 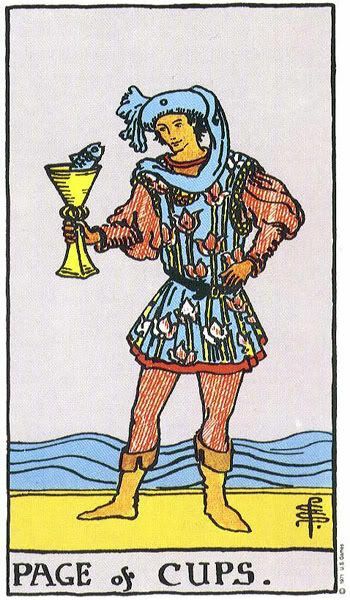 Most of the tarot decks show a young man, holding his chalice up proudly. 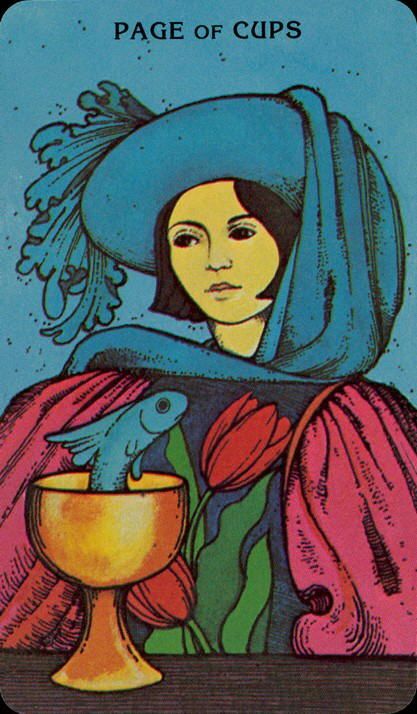 Fish is swimming in that chalice of richness. If we take a look at this card a bit better, we can notice even his hat is in the shape of a fish. This is a very watery energy. 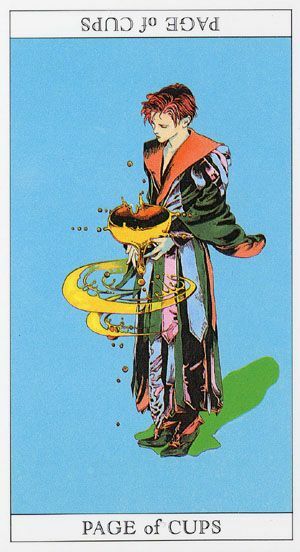 He is holding his chalice up like he is fascinated by it, even so fixated that he doesn’t notice anything else around him. Dear Sagittarius, this card is usually associated with something new, like start of a new relationship or developing new relationship with somebody, like friendship. Or both. Even though this isn’t necessary meaning. It could be anything new, like newborn child that is welcomed to Earth or you simply developed a new life philosophy. Perhaps you moved into new apartment, new city? Something is definitely different. You might feel this time as sort of rebirth. You are feeling warm, charming, sensitive, artistic, reflective and altruistic. Water softens, but water also makes fire disappear. You are asked to step into contact with your feelings, your psychic abilities and potential. This is the card of contemplation. New beginnings. New beginnings in studies, such as new courses or new interests. On the negative side, we are also getting a fine warning here, which is illusion of perfection. Page is so fixated on cup, he doesn’t know anything else. Beware of being bewitched and naive, there are many wolves in sheep clothing around. Water can also point that there is a conflict with the unconscious. This is also earthy part of water, so you are asked to stay both sensitive & practical. But don’t let anybody use you just because your heart is open wide. What a mix of elements huh? 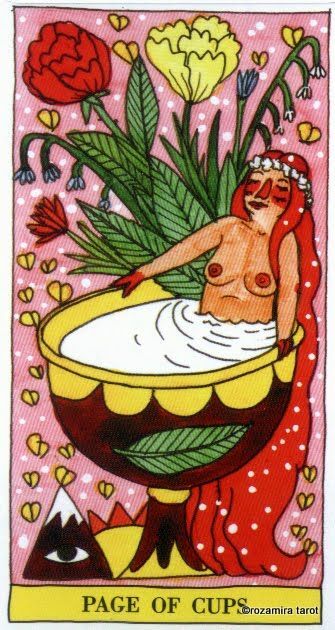 You as a fire, and Page of Cups as mix of water and earth. If you have any air in your chart, you probably have all the ingredients for August inner alchemy.